The more information a user sees on your page, the more professional you appear. Potential customers like to have direct access to operating hours, contact details, location and main service information, so ensure you fill in all of these and keep them up to date. As well as your ‘about us’ section. Litter this with specific keywords related to your services, keeping an eye on spelling and grammar and minimal fillers once again. Making it easier for your customers to reach your main business website. Facebook made it possible to directly connect with customers via business messenger. This, along with direct videos and images, makes it easier for customers to interact with your business. Ensure you keep your posts up to date and relevant, including your profile and cover images, once again, using specific keywords where you can. Sharing others’ posts will also attract them back to your page. 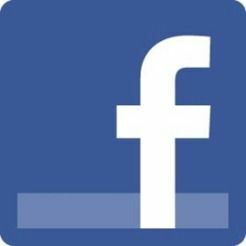 Creating a Facebook Business Page, set up with these tips, will provide you with a drastically broader reach. SEO strategies are key to increasing the effect of your page and make it easier for customers to find you and understand the services you offer. This entry was posted in SEO, Social Media, Tips and tagged Facebook business pages, Social Media, social media tips on April 28, 2016 by Pinnacle.